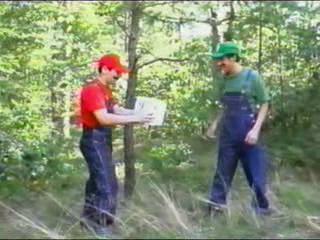 A collection of fan-made movies. If you would like to submit your own fan film, please contact us first. Keep in mind that you will have to find a way to encode the video on your own. Playback trouble? Try the latest DivX codec. 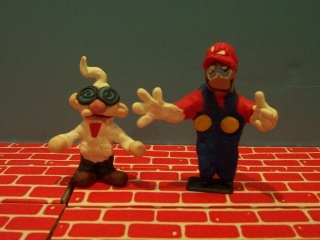 A series of three claymation movies featuring Mario, Bowser, E. Gadd, and more. Send questions/comments to Stanley Strusowski. 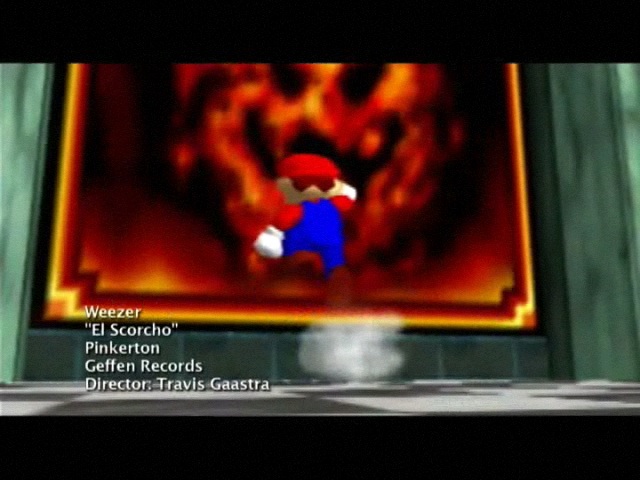 With slick editing, Travis, of LP30 and Super Mafio Bros. fame, melds the driving alt-rock of Weezer with the expansive world of Super Mario 64. Rating: Not rated. 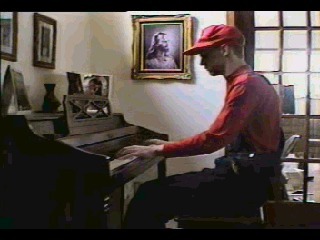 The lyrics contain one minor curse word in the beginning (G**d***). From the comfort of his home, Lizard Dude brings us an updated version of his talent show performance. More music, no crowd noise, and a big finish. 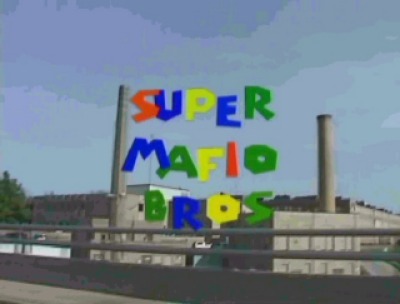 Description: "Super Mario bros." with a mafia twist. 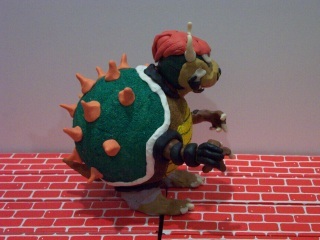 With business decreasing, the Mushroom King recruits Mario and Luigi to help fight the threat of the Koopa family - headed by Mario's old nemesis, Bowser. 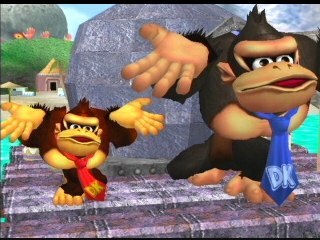 But, with a new weapon arriving, things don't look promising. 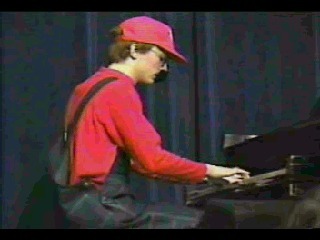 A high school talent show piano performance of the Legend of Zelda theme, SMB underworld theme, SMB water theme, SMB Starman theme, and SMB2 overworld theme. Lizard Dude explains it all. 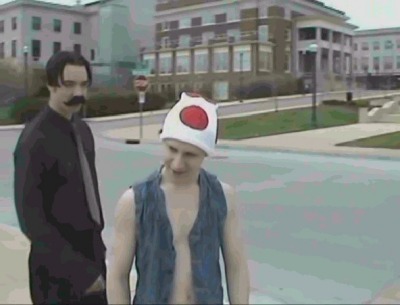 Scenes from Super Smash Bros. Melee serve as a music video for Green Day's "Basket Case." Check out Six Sided Video for more info about the project. 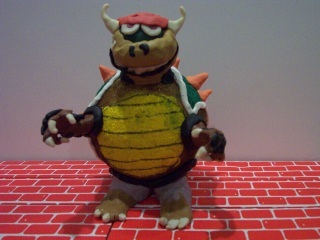 Story: Mario and Luigi must prevent Bowser from marrying Princess Peach and taking over the world. 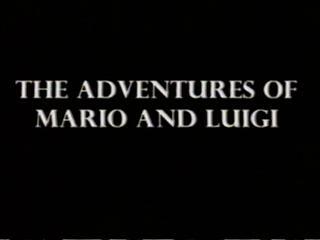 I can't believe that we finally finished The Adventures of Mario and Luigi. I am still as shocked today that I was when we finished filming the last scene, a scene in which I pulled my car, a Lincoln, out of the Nardino family driveway and drove off and then Chad pulled up his van into the same spot. 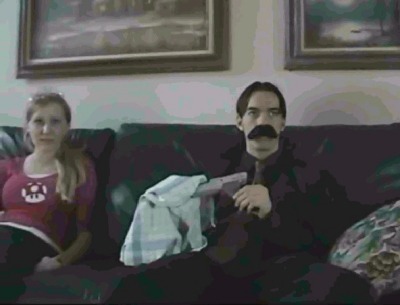 Greg yelled, "Cut." I got out of my car and looked around at everyone staring at me. Molly came up to [me] and asked with a big smile on her face, "Well, are you going to say it?". And then I uttered those three words that a director loves to say: "Ok, that sucked." And after two more takes I was finally able to say, "That's a wrap." So we actually managed to get twenty-five actors, eighty-one scenes and nearly twelve hours of footage into an hour and 41 minutes of a film, or as I like to call it, the best movie ever made. 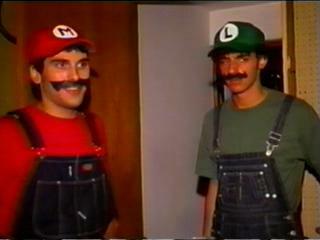 Look out Schindler's List, for you are about to be dethroned by The Adventures of Mario and Luigi. Rory would greatly appreciate your thoughts and comments about TAOM&L. Desynchronization of the audio/video is as originally produced, and not introduced by encoding... though ripping was done on a 15 year old VCR with a $20 WinTV card encoded with a daily build of XviD in realtime.